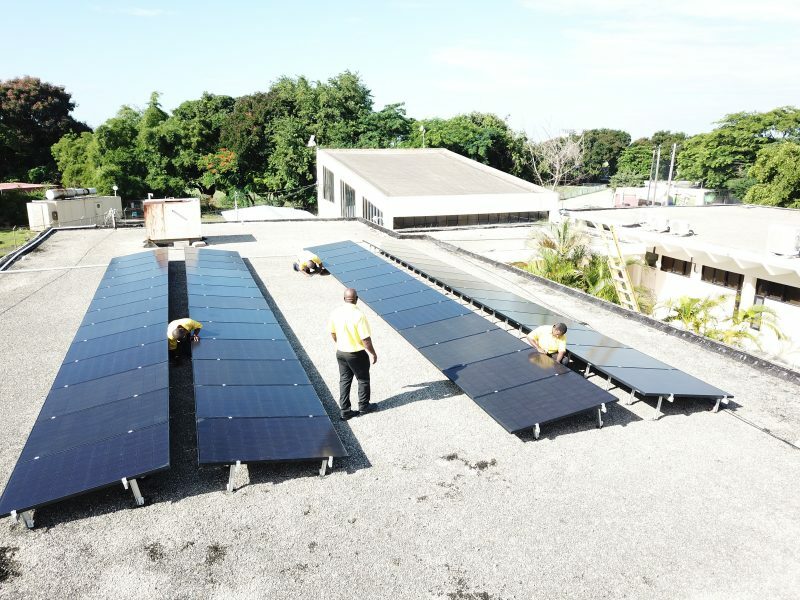 Installing solar panels on the roof of the Office of the Prime Minister in Jamaica as part of the global Solar Heads of State initiative. All photos in this post are courtesy James Ellsmoor, used with permission. What does the future have in store for the islands of the world? 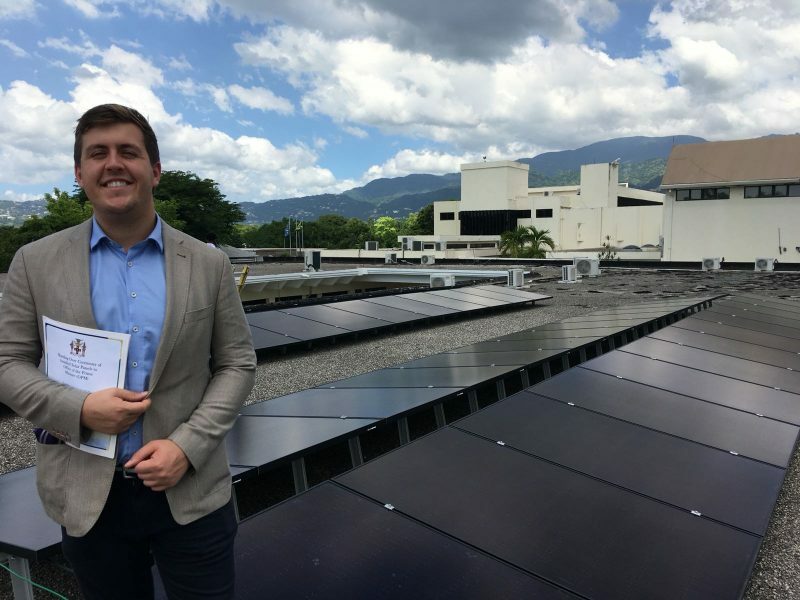 James Ellsmoor, a 26-year-old Englishman who made Forbes magazine’s list of 30 Under 30 in 2017, is a self-described “digital nomad” who believes in the viability of solar power to make a difference to island populations worldwide. Nevertheless, investment in renewable energy is growing, with Jamaica aiming to bring the largest solar power plant in the Caribbean to date on stream by mid-2019. Global Voices recently caught up with Ellsmoor in Kingston, Jamaica, to find out what solar can bring to island life and what keeps him moving and dreaming about a better world. Global Voices (GV): Solar Head of State was an initiative to help world leaders become green leaders. How did it come about? 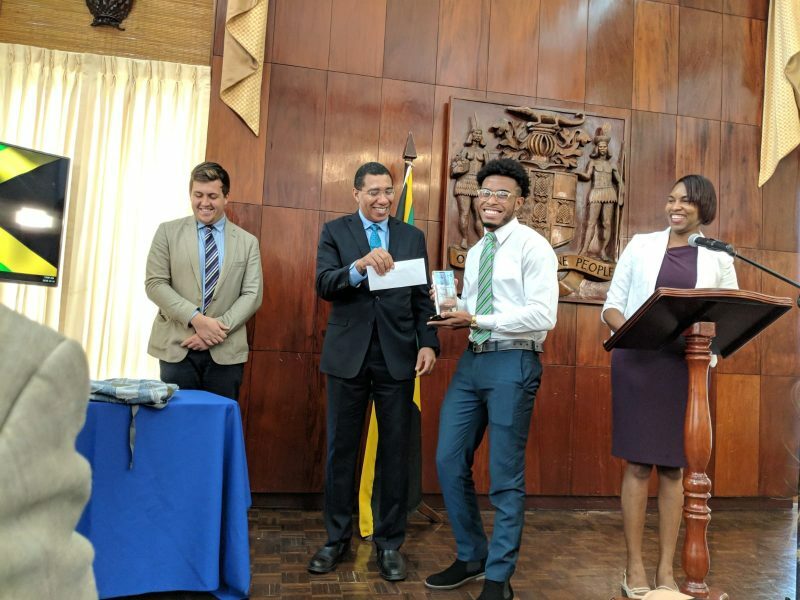 At the handing over ceremony of the solar panels on October 17, 2018, Jamaica Prime Minister Andrew Holness presents an award to Ryan Bent, who produced the winning video in the Jamaica Solar Challenge, while Tameka Lee of the Caribbean Climate Innovation Centre looks on. 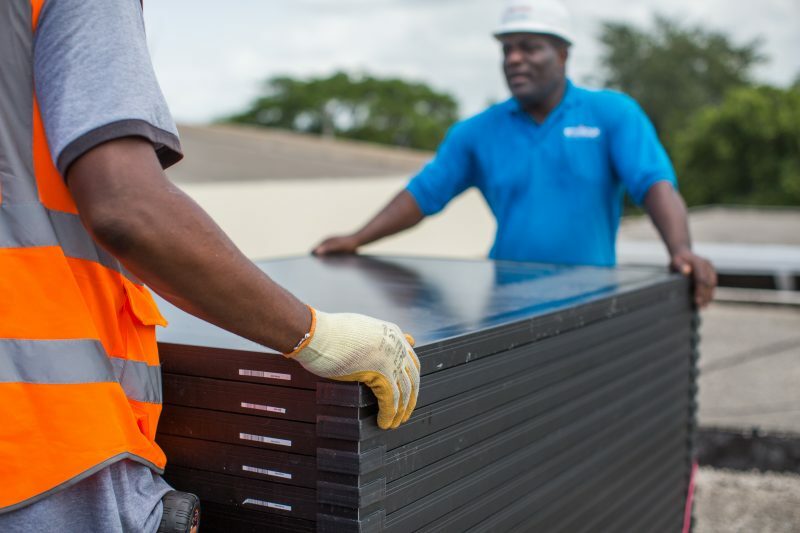 GV: What has it been like promoting solar energy in the Caribbean? GV: Do you feel the movement is gaining some traction? Do Caribbean citizens and politicians “get” renewables? 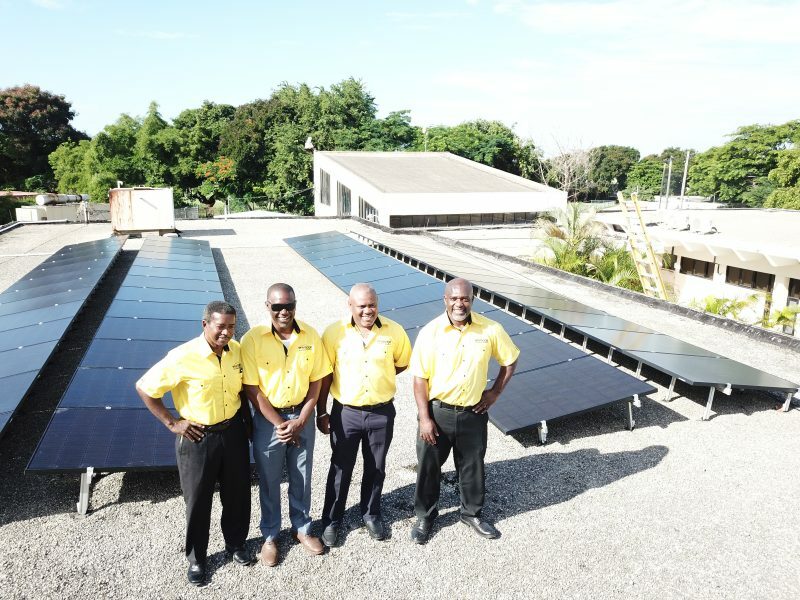 Members of the solar panel installation team on the roof of the Office of the Prime Minister in Jamaica. GV: You recently graduated with a Master of Letters in Island Studies at the University of the Highlands and Islands, and you publish an online newsletter. What drives your fascination with islands? JE: I am from a very rural part of England and so the relationship between communities and their natural environment has always interested me. The master’s in island studies allowed me to explore the complexities of living in smaller, isolated communities and the differences needed in governance and business for these communities to prosper. GV: What do you think islands have in common, globally — if anything? Does every island have its own set of complexities? Moving the solar panels prior to setup. GV: Do you have a favourite island?